In a town nicknamed “The Covered Bridge Capital of the World,” these four blocks boast five antique shops, one covered bridge museum, a quirky café and a historical art gallery. Local artist Susie Teschmacher says the Covered Bridge Art Association Gallery is “an oasis of art” for the community. The gallery started in a dark abandoned clothing store with nothing but two women, one table and a wood floor donated from the homeless shelter. Today, the gallery features artists selling bridge-inspired art and offering art lessons on the second floor. Take a lunch break at The Jailhouse Café. Decorated with vintage tables and potted plants, the café is known for its coffee and chicken salad sandwiches. Waitress Sarah Blake says her favorite place on the square is the Ritz Theater. It’s only open weekends and Wednesdays, but stop by around Christmastime for a free showing of The Polar Express with cocoa, cookies and raffles. Locals call the square the “community living room” because of its rectangular rather than square shape. The Second Empire-style courthouse at the center has been a resource for the community since it was designed in 1874. In a town known for its architecture, the Columbus square boasts numerous art installations and war monuments. At the James A. Henderson Playground in The Commons kids are free to climb and slide down the colorful indoor structure while adults view the moving art installations around it. If you get hungry, head on over to Zaharakos Ice Cream Prlor and Museum. Founded in 1900, Zaharakos is a local favorite that serves food, ice cream and handmade soda from a marble fountain. Listen to the million-dollar organ, order a scoop of ice cream and enjoy. Drive too fast and you might miss it. The Vernon town square may be small, but it’s packed full of history. The long buildings that surround the red-brick Jennings County Courthouse are home to tunnels from the Underground Railroad. The Jennings County Historical Society gives motorcoach tours about the railroad throughout the year. 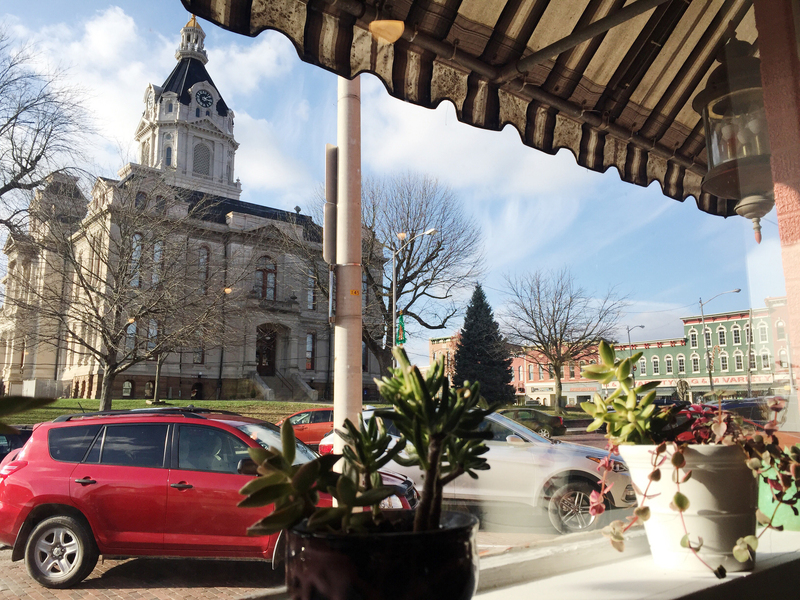 At the Jennings County Historical Society Museum, you can learn about the town’s history, go on ghost tours and visit the Civil War blacksmith shop that’s still in use. Looking for a place to grab a snack? Wooton’s A Little Something to Eat & Drink serves breakfast, lunch and dinner.